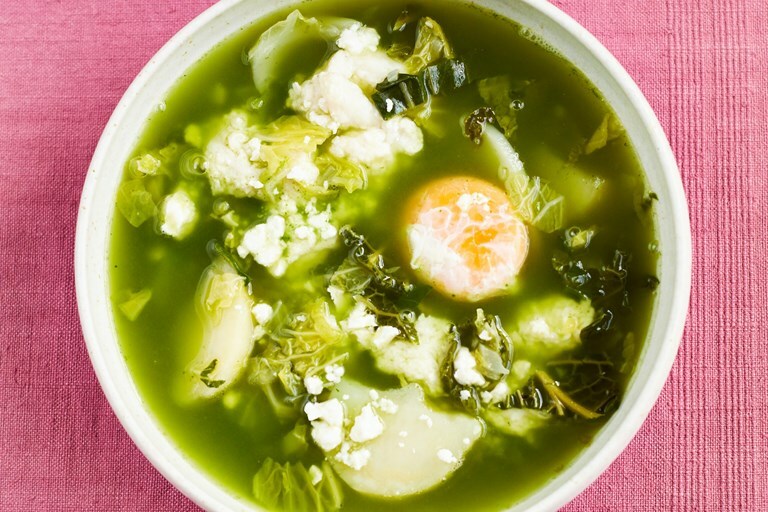 Martin Morales serves up a verdant, hearty soup hailing from Cajamarca in Peru. In Caramarca, the soup would be served with local herbs such as paico and huacatay, but the Andina chef has helpfully suggested substitutes that should be easier to source on these shores. This recipe is taken from Andina: The Heart of Peruvian Food by Martin Morales, published by Quadrille. Photography by David Loftus. I drove over bumpy dirt roads, through torrential rain and along steep precipices for eight hours to try this soup in the historic city of Cajamarca. Although it is traditionally made with paico and ruda herbs, which are native to the Peruvian Andes, you can use parsley and pak choi. The egg and cheese provide protein, making it a filling main course. Martin Morales is the chef, restaurateur and founder of the Michelin-Guide listed Peruvian restaurants Ceviche Soho, Andina, Ceviche Old St and the AA Rosette awarded Casita Andina in Soho.